While communicating we use words in a sentence according to the importance ascribed to them. In other words are placed in a sentence according to their importance in communication. Interrogative sentences starting with words like ‘Who’, ‘Whom’, ‘Which’ , ‘Why’ ,’What’ ,’Whose’ , ‘How’ ,’Whom or ‘Where’ etc. First of all it is necessary to know about the words ‘who’ and ”whom’. So when we use a word in Subject place it is ‘who’ and using in place of object it is ‘whom’. Following example makes it clear. 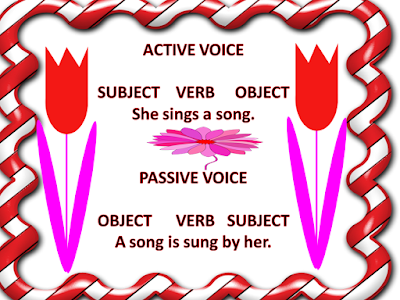 In passive object moves to the beginning of the sentence and subject to the end of the sentence. She was greeted by him. Her will change to She and will be shifted to the beginning of the sentence. Greeted will change to was greeted. 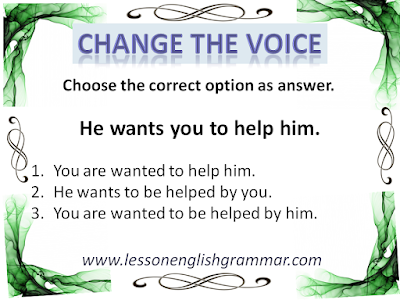 He will change to him and will be placed at the end of the sentence. To understand this sentence substitute the word ‘who‘ with an assertive subject like He. He will change to ‘by him‘. 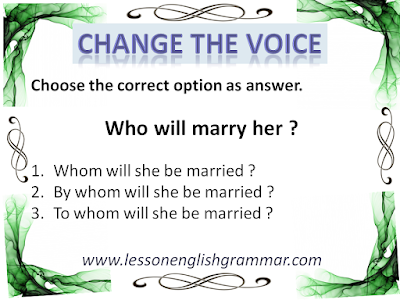 Similarly in this sentence ‘who‘ will change to ‘by whom’ as who is in subject place and whom is in object place. Because it is an interrogative sentence the words ‘By whom’ will remain placed in the beginning of the sentence. By whom was she greeted ? In examination this will help in questions relating to corrections, clause substitution and fill in the blanks etc. 1………………(who/whom) do you think will be elected captain? 2………………(who/whom) will the team elect captain? 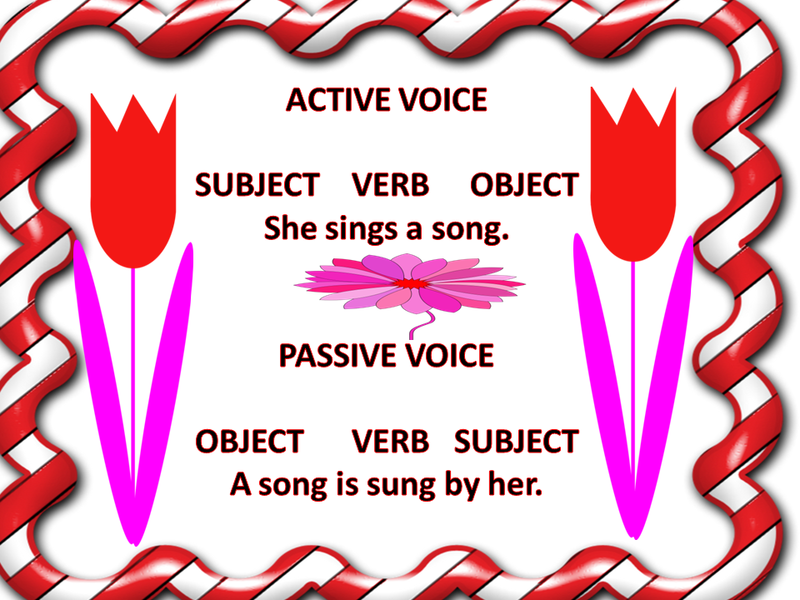 To understand these sentences, think reply of these interrogative sentences in assertive form.i.e. I think……………..(he/him)will be elected captain. The team will elect……………(he/him) captain. In the first sentence it is quite clear that subject form is required and out of the two options ‘he’ is the subject form. Out of who and whom ‘who’ is the word in subject place. So in interrogative sentence’who’ will be used. Who do you think will be elected captain. or in other way …………..( you think) will be elected captain? Find out whether in this sentence a subject or an object is required. It is clearly evident that a subject is required and it is ‘who’. Similarly in the second sentence it is evident that a word at object place is required. Out of he and him ‘him’ and out of who and whom ‘whom’ are the words at object place. 2. Whom will the team elect captain? The team will elect him captain. So the correct word is ‘Whom’. By whom were you helped? By whom are the students being taught? By whom will the cat be belled ? Who has painted this picture ? By whom has this picture been painted? Who deceived her in love? By whom was she deceived in love? Who suspects him to be a thief? By whom is he suspected to be a thief ? Who lent you this book? By whom were you lent this book ? Who escorted her to the door? By whom was she escorted to the door? Who does not like lovely roses? By whom are lovely roses not liked ? Who was laughed at by you? Who elects the President of India ? By whom is the President of India elected? By whom was he elected captain? Whom did the team elect captain? Who was elected captain by the team? Where was this picture found by you? How did you obtain this book? How was this book obtained by you? Which book was purchased by you? Which toy does the child like? Which toy is liked by the child? By which team was the match won? Which doctor did treat him ? By which doctor was he treated? Where did you find this pen? Where was this pen found by you? What mistake was committed by him? What action did the teacher take against him? What action was taken against him by the teacher? What offer did he put forth? What offer was put forth by him? What does she teach you ? What are you taught by her? What has been done by him? What is wanted by you? What is contained in this box? When did you paint this picture? When was this picture painted by you? How were you treated by him? How did you solve this sum? How was this sum solved by you? Whom did the election results shock the most? Who were shocked the most at the election results? Why did you abuse her ? Why was she abused by you? Fill in the blanks in the following sentences with a word out of ……who, whom, which and what. ……………, do you consider, is right ? …………….. am I speaking to, please ? ………………do you want to see ? ………………. were you talking with ? ……………..of you has broken the chair? ……………..did you see in the garden ? ……………prompted you to say these words? The lady……….teaches me English lives here. Those ……..work hard are sure to succeed. It was he………..rescued the drowning child. I ………am your friend will always help you. He………..I respect so much is my mentor. Those ……..join our group need not to be afraid of anyone. She is the person………….is to blame. Why is he having a keen interest in her affairs? When will the farmers harvest their crops? Where did you find your lost books. What surprises me is her strange behaviour ? Who will take care of their old parents? Who is cooking food in the kitchen? How does the mother look after her children? Where did the child hide his toys? When will you host a party for us ? Why is the peon not ringing the bell? How many employees did you hire for this job? When will she finish her work? By whom do you want to be helped? 2. Why did you make a row with his brother for nothing ? Why was a row made with his brother for nothing by you? 3. Why did you not turn down his proposal when he offered it to you? Why was his proposal not turned down by you when it was offered to you by him? 4. How did you overcome so many hurdles so easily? How were so many hurdles overcome so easily by you? 5. How will he manage the affairs of the company alone ? How will the affairs of the company be managed by him alone ? 6. Who shouted at the stranger while he was walking in the street ? By whom was the stranger shouted at while he was walking in the street? PrepVocab Download our Android App for Free !